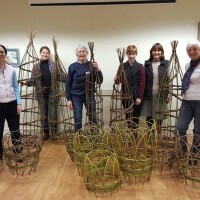 Come and create your own willow garden obelisks or similar structures. All materials, tools and equipment provided. Cost £55 payable upon booking.